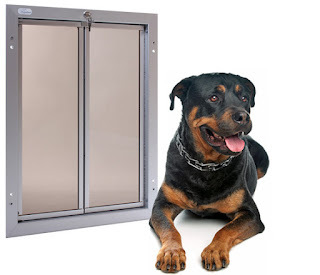 If you're planning to get a pet door for your furry friends and they've never had one before, you need to know how to train them to use it. Most pets take to their dog door or cat door quickly. Pets love to go in and out, and will enjoy being able to move at will. The PlexiDor is different from traditional cat flaps and dog doors in many ways. The most important difference from the pet's point of view is that your cat or dog can see through the panel. Many cats and dogs like to lie just inside the door and peek out at what's happening outside. Being able to see through also makes it easier for many pets to learn to use the door - they can see the outside, and they want to get there.